That Devil Music: Walter Trout Returns To The Stage! Walter Trout Returns To The Stage! 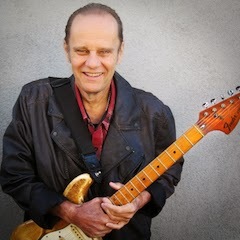 This is great news, indeed – beloved blues-rock guitarist Walter Trout will be returning to the stage this summer! After spending all of 2014 recovering from a life-saving liver transplant, and after undergoing extensive rehab to get back into “fighting” shape, the lifelong road warrior is ready to climb back on stage and thrill fans like he always has. Trout will make his first public appearance in over at year on June 15th, 2015 in London at the Royal Albert Hall, the guitarist performing at the Leadbelly Fest. He’ll start his North American tour on July 10th at The Coach House in San Juan Capistrano, California, a venue that holds a lot of history for Trout. 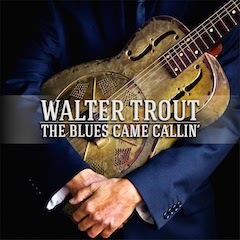 Since he didn’t get a chance to tour in support of his excellent 2014 release The Blues Came Callin’, I’m sure that Walter is eager awaiting the upcoming shows, and there will certainly be performances added to the list below before it’s all over. We’ve also included Trout’s video announcing his return to the stage. Sure hope you are gonna book Durham Performing Arts Center. Love your work and am a hep c person. This is going to be a great tour! Hope to see you at casino in Niagara.